A collection designed by George Drakakis inspired by monumental shapes that defined beauty and form. Three pieces, “Nike; the Winged Victory”, “Fragments” and “Trojan Horse” have been designed along minimal lines to accommodate modern indoor and outdoor living. Sourcing inspiration from ancient Greek archetypical forms and concepts, George Drakakis deployed advanced GRP design to create furniture with sculptural sophistication made of innovative fibre-reinforced material. Eternal forms, re-made for the future. Discover Modern Takes, INOMOs first ready-to-purchase collection. 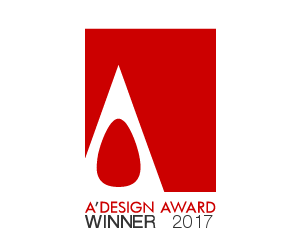 Iron A' Design Award Winner (2016 - 2017 Period) in Furniture, Decorative Items and Homeware Design Category.